Iran currently ranks 53rd in tourism revenues worldwide. 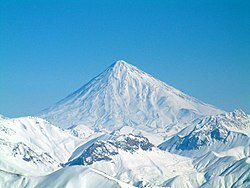 Tourism in Iran is diverse, providing a range of activities from hiking and skiing in the Alborz and Zagros mountains, to beach holidays by the Persian Gulf and the Caspian Sea. The Iranian government has been making concerted efforts to attract tourists to the various destinations in the country and arrivals have increased during the past few years. Kish Island alone attracts around 1 million visitors per year, the majority of whom are Iranian but the area also attracts many non-Iranian Muslims who like to have beach holidays with Islamic style beaches where men and women use separate beaches . Before the Iranian revolution, tourism was characterized by significant numbers of visitors traveling to Iran for its diverse attractions. The country boasts cultural splendours and a diverse and beautiful landscape suitable for a range of activities. Tourism declined dramatically during the Iran–Iraq War in the 1980s. Since the Iranian revolution in 1979, the majority of foreign visitors to Iran have been religious pilgrims and business people. In Iran there are many Shi'ite Shrines, the two main ones being Imam Reza Shrine in Mashhad and Fatimah al-Ma'sūmah Shrine in Qom. Each year millions of pilgrims from Iran and other Shi'ite countries visit these holy places. Official figures do not distinguish between those traveling to Iran for business and those coming for pleasure, and they also include a large number of diaspora Iranians returning to visit their families in Iran or making pilgrimages to holy Shia sites near Mashhad, Qom and elsewhere. Domestic tourism in Iran is one of the largest in the world. The government continues to project strong rises in visitor numbers and tourism revenue for the foreseeable future, and plans to build an additional 100 hotels to expand its currently limited stock. In 2013, the number of foreign tourists in Iran reached 4.76 million, contributing more than $2 billion to the national economy. The strong devaluation of the Iranian Rial since early 2012 is also a positive element for tourism in Iran. Over five million tourists visited Iran in the fiscal year of 2014-2015, ending March 21, four percent more year-on-year. In October 2018, Ali Asghar Moonesan, the head of Iran’s Cultural Heritage, Handicrafts and Tourism Organization (ICHTO), announced that the number of tourists who visited Iran in the first six months of the Iranian year (started March 21, 2018) rose by 51 percent compared to the same period in 2017. According to a report published by World Travel and Tourism Council in 2015 the size of its tourism industry – including cultural and ecotourism as major components of it – is estimated as having the potential to create jobs for 1,285,500 and rise by 4.1% pa to 1,913,000 jobs in 2025. Based on the report in the year of 2014 Travel & Tourism directly supported 413,000 jobs (1.8% of total employment). This is expected to rise by 4.4% in 2015 and rise by 4.3% pa to 656,000 jobs (2.2% of total employment) by 2025. The most up-to-date figures from the World Tourism Organization for the origin of visitors to Iran show that building up visitors from the Islamic and wider Asian world will have to start from a low base. Around three-quarters of those entering Iran in 1999 came from Europe. According to the New York Times, unlike most Americans who stopped visiting Iran after the Revolution, European tourists continued to visit the country in similar numbers after the revolution. This was mainly because the Revolution was far more Anti-American and not so much Anti-European. It doesn't means American can't travel to Iran, just that Americans must have tour guide with them at all times, this law is also applicable for UK citizens and Canadians. 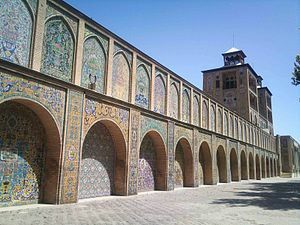 The majority of the 300,000 tourist visas granted in 2003 were obtained by Asian Muslims, who presumably intended to visit important pilgrimage sites in Mashhad and Qom. Several organized tours from Germany, France, the UK and other European countries come to Iran annually to visit archaeological sites and monuments. Iran has 21 places on the world cultural heritages list, because of this lots of cultural tourist come to visit Iran each year. According to Iranian officials about 1,659,000 foreign tourists visited Iran in 2004 - although government statistics don't distinguish between tourism, business and religious pilgrims; most came from Asian countries, including the republics of Central Asia, while a small share (about 10%) came from North America and the European Union, including Germany, Italy, Bulgaria, France and Belgium. The most popular tourist destinations are Northern Iran, Isfahan, Mashhad, Yazd and Shiraz. There is undoubtedly great scope for increased visitors from the Islamic world, and possibly also from non-Muslim countries with which Iran is developing business and political links, such as China and India. From 2004, the country experienced a 100-percent growth in foreign tourist arrivals until mid-2008 when the number of foreign arrivals surged up to 2.5 million. Specially, there has been an enormous increase in the number of German tourists traveling to Iran since 2008. Over five million tourists visited Iran in the fiscal year of 2014-2015, ending March 21, four percent more year-on-year. 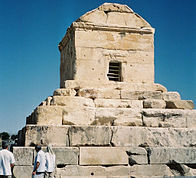 Cyrus' tomb lies in Pasargadae, a UNESCO World Heritage Site. Iran is home to 22 historic sites which have been inscribed on UNESCO World Heritage List. Dizin ski resort near Tehran. 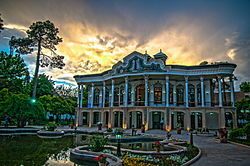 Iran's Cultural Heritage, Tourism and Handicrafts Organization is responsible for the establishment, development and operation of tourism facilities in Iran, planning for the repair or extension of tourism facilities through direct investment or providing loans to the private sector or entering into partnership with the private sector, issuing licenses and supervising the establishment and administration of hotels and restaurants and travel agencies and qualification and rating of these units. Area considered for further expansion in the tourism sector in Iran are eco tourism, coastlines, restoration of historical relics, handicraft townships, and health tourism (e.g. water therapy). 30,000 people come to Iran each year to receive medical treatment (2012). 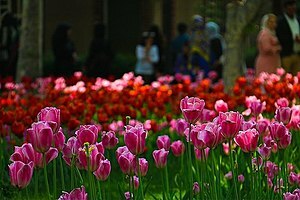 As a matter of fact, Iran might become the leading country in the Islamic World when it comes to the medical tourism field due to a number of reasons that include the country's unique geographical position, the fluctuation of Iranian currency that leads to lower prices in healthcare services, as well as the development in medical research and technology. The rapid growth rate of the healthcare system which, according to the World Tourism Organization, has increased of 5% in last decade, seems to indicate that in the future Iran will be one of the most visited countries by medical tourists, above all coming from the neighbouring countries, such as Arzebaijan, Iraq and Persian Gulf States. Iran's '20-Year Vision' document projects investment of over $32 billion in the country's tourism sector and tragets 20 million tourists by 2025. In order to encourage domestic and foreign direct investment in this sector, the 50 percent tax exemption previously granted to tourism enterprises has been extended to include five-star hotels. In 2016 Iran announced that it will grant 100 percent tax holidays between five and 13 years depending on the region for hoteliers investing in Iran. Tariffs for utilities comply with industrial ones. Investment in Iran's free trade zones are exempt from taxes for up to 20 years. As of 2016, international hotel operators investing in Iran are Rotana (Abu Dhabi), Accor (France), Meliá (Spain) and Steigenberger (Germany) among others. Traditionally, only a small number of wealthy Iranian tourists traveled abroad, and the majority of the trips were business departures, mostly to neighboring states in the Persian Gulf and the wider Middle East (1 million each year), Central Asia and Turkey (~1 million). Although this is likely to continue to characterize much Iranian travel abroad, since the change of regime in Iraq in 2003, Iranians from all walks of life have visited their western neighbor. In addition, a large proportion of Iranians traveling abroad are likely to be visiting family, especially in Europe, the US and Australia (~1 million). Up until early 2012, because the Iranian rial was overvalued, the Iranian government was subsidizing its travelers abroad (2010). In 2011, some 27 million travelers and businessmen passed the Iranian custom departments. Following the Iranian subsidy reform plan, airfares in Iran went up by 65% in 2012. In 2012, Iranians spent $18.5 billion on outward tourism. They spent $12 billion to purchase airplane tickets from foreign airliners between the years 2012-2015. ^ a b c d e Ayse, Valentine; Nash, Jason John; Leland, Rice (January 2013). The Business Year 2013: Iran. London, U.K.: The Business Year. p. 166. ISBN 978-1-908180-11-7. 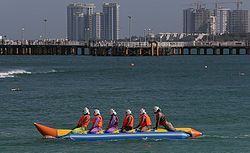 ^ "Iran seeks more tourists, but will they come?". Washington Post. Retrieved 9 June 2015. ^ a b Jason Rezaian (5 November 2012). "Iran's surprise economic success: Tourism". Washington Post. Retrieved 9 June 2015. ^ a b "Press TV". Press TV. 2010-12-06. Archived from the original on 2012-01-18. Retrieved 2012-02-06. ^ Laura Bly, USA TODAY (25 February 2013). "Tourists see a different Iran reality than 'Argo' image". USA TODAY. Retrieved 9 June 2015. ^ "Number of Tourists Visiting Iran Increases by 50%". 2018-10-04. ^ "Iran Tourism Need to Rebuild its Image After the Nuclear Deal". SURFIRAN. Retrieved 2016-04-21. ^ Glusac, Elaine (2016-02-08). "Sanctions Lifted, American Tourists Head to Iran". The New York Times. ^ Centre, UNESCO World Heritage. "Iran (Islamic Republic of) - UNESCO World Heritage Centre". whc.unesco.org. Retrieved 2017-08-15. ^ "Herald Globe". Story.heraldglobe.com. 2008-11-15. Archived from the original on 2012-02-18. Retrieved 2012-02-06. ^ "Iran Visa Application - Iranian Visa (evisa)". Retrieved 9 June 2015. ^ http://lcweb2.loc.gov/frd/cs/pdf/CS_Iran.pdf This article incorporates text from this source, which is in the public domain. ^ a b c d "No. 3816 | Front page | Page 1". Irandaily. 2010-11-02. Retrieved 2012-02-06. ^ "Fars News Agency :: Ahmadinejad Stresses Iran's Growing Medical Tourism Industry". English.farsnews.com. 2012-01-17. Archived from the original on 2012-02-13. Retrieved 2012-02-06. ^ "Medical Tourism in Iran - Fanack Chronicle". Fanack Chronicle. Retrieved 9 June 2015. ^ "No Operation". Presstv.ir. Retrieved 2012-02-06. ^ "Doing business in Iran - For Australian exporters". Austrade. Retrieved 2012-02-06. ^ "Irandaily | No. 4207 | Domestic Economy | Page 4". 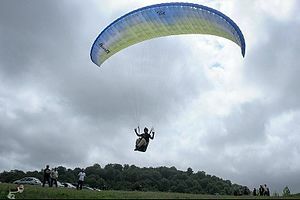 ^ "Iranian airfares soar higher". Retrieved 9 June 2015. ^ Asa Fitch and Nicolas Parasie (6 April 2015). "Western Companies See Potential in Reaching Iran's Consumers After Nuclear Deal". WSJ. Retrieved 9 June 2015. ^ "Iran Air stock to be sold globally". 2016-02-24. Iran's official tourism website List of tourist attractions. Also helps tourists apply for entrance visas online and provides them with important phone numbers and necessary information about transportation and foreign Embassies in the country. "Daftar.org" - online visa application for U.S. citizens - Iranian Consular services in Washington D.C.
Iran Photo Gallery - 782 color, high-resolution Creative Commons images of Iran from a 2012 journey.